Steve Hardin is the director of the Community Services Division of the Mississippi Development Authority. Part of MDA’s Community Services team since since 2007, Hardin’s experience includes local community development and regional development activities. His current primary responsibility is the oversight of the financial assistance programs that advance in the state’s economic and community development efforts. Prior experience includes three years with MDA as the manager of the Community Operations Bureau and three years as director of the Regional Services Division. Additionally, Hardin has 18 years of experience with Hinds County Economic Development District, Mississippi Gulf Coast Chamber of Commerce, Delta Council and the North Mississippi Industrial Development Association. 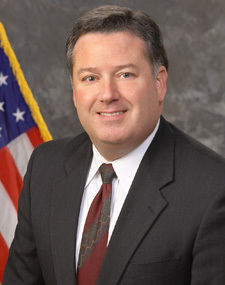 Hardin attended Mississippi State University where he majored in Business Administration with an emphasis in Personnel Management. He is also a Certified Public Manager and a Professional Community and Economic Developer. Steve is a member of the Mississippi Economic Development Council where he served as president from 1991 to 1992, the Southern Economic Development Council and the Mississippi Society of Certified Public Managers. Steve also serves as the Mississippi representative on the Council of State Community Development Agencies.